Home » Jobs & Companies » Company » Why Apple Logo has Bite? Undoubtedly, Apple logo is the most loved logo and brand on this earth. And why not, as Apple has been ever producing life changing consumer products since the inception of the company. If you are an Apple device owner, then I can bet that it is the Apple logo which you fancy most. But do you know the Apple logo history? Or do you know the truth behind Apple logo bite? 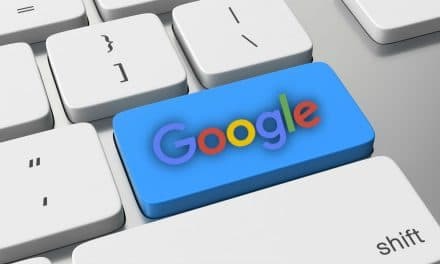 Even if you think that you know the history of Apple logo, then I am pretty much sure that you must have fallen for various myths making rounds on the internet. I know you don’t believe me! Ok. Let me reveal the truth behind Apple logo and its famous bite. But before I go further, let’s see the most popular myths which might have made its way in your head. Suggested Read – Is Microsoft going to discontinue MS Paint? 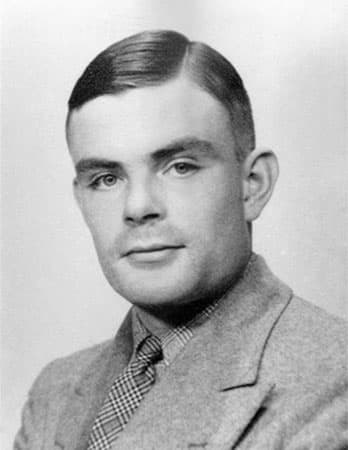 Alan Turing is widely known as the mastermind who laid the foundation of theoretical computer science. He pioneered several research and inventions in the field of computing, artificial intelligence, coding, etc. During the Second World War, he helped British Govt. deciphering the German cyphers with its large Bombe machine to decode Enigma-enciphered messages. He died almost a decade after the end of World War II. The investigation revealed that he had committed suicide after biting an Apple laced with cyanide. Later, Alan Turing death link with an Apple created a story around Apple logo evolution. People started thinking that the founders of Apple, Steve Jobs and Steve Wozniak, at that time paid tribute to the father of theoretical computer science by choosing Apple as their company logo. But unfortunately, this story around cool Apple logo is a plain myth. As per Bible, God created Adam and Eve in the Garden of Eden. God advised them not to eat any fruit from the forbidden tree. 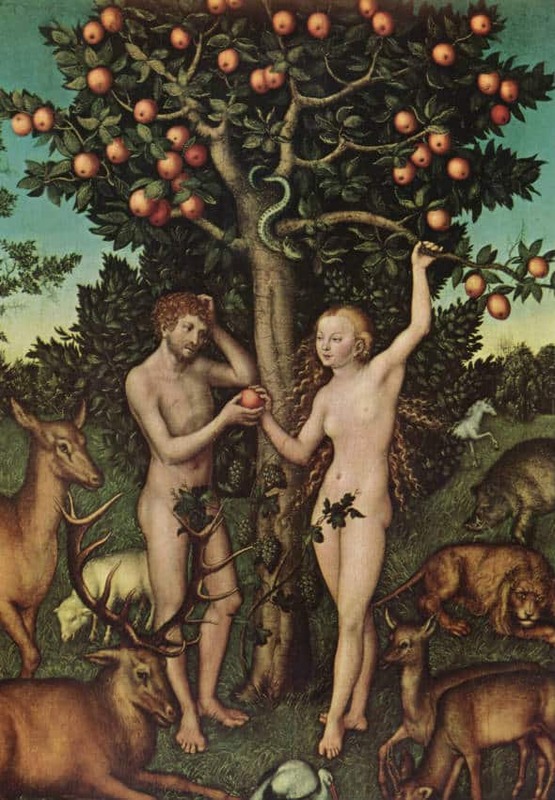 But Satan, disguised as a serpent, deceived Eve into eating fruit from the forbidden tree. Guess what, that consumed fruit was an Apple. Later, Eve gave the same fruit to Adam, and after that, they acquired the knowledge of good and evil. And thus, this story made a lot of sense with the evolution of Apple logo. Also, it wasn’t tough for people to quickly built a notion around this story and Apple logo. This is another classical story which is viral about Apple logo. Steve Jobs gave the job of designing logo to his design team. They came up with a number of options which he didn’t like. Finally, one fine day, he set the target till evening and told his design team that if they are not able to come up with final logo design then he will choose anything as a logo which he sees first. Design team approached Steve when the deadline was near ending and showed him the final logo design. He even didn’t like the final version. At that moment, he was eating an Apple and as per his promise, he asked his design team to make the logo around that half-eaten Apple. This story is very promising but still far from the reality. Apple Inc. first logo was still around an Apple only. The logo featured famous inventor Isaac Newton with an apple dangling over his head. In the year 1977, Apple company hired a professional designer Rob Janoff and was entrusted with the job of designing Apple logo. Rob took some time examining different orientations of real Apple, and within two weeks he came up with the rainbow version of a complete Apple. In no time, his multi-colored Apple logo was approved by Steve Jobs. Later, this logo stayed same on various Apple products for almost 21 years. We just saw that how so many myths were making its way as the likely answer behind the secret of Apple logo bite. But the reality was quite far from these myths. When Rob Janoff started designing Apple logo, he faced the problem of the resemblance of the logo with Cherry or any other fruit. But he came up with a unique solution of creating a bite impression on the Apple. This helped in scaling the logo. This is the real story behind Apple logo bite. Steve Jobs returned to Apple Inc. in the year 1997. The company was bleeding money. Steve always thought out of the box and even at that time he wanted to do something revolutionary. That’s why “Think Different” slogan was first time used in the campaign advertising. Steve Jobs didn’t leave logo out of his equation. Subsequently, a new version of Apple logo came into existence in the year 1998. After that, logo went through several changes but mostly from the colour point of view. The latest version of Apple logo is Chrome version. The logo is significantly placed on all Apple products. I like the Apple logo on MacBook as it glows while you open the lid of the MacBook. Which one is your favourite Apple logo version? Leave your answers in the comment section below. Please do share this post with your friends and family on Facebook, Twitter, etc. PreviousHow did Virender Sehwag make 3.3 Million Rupees by Tweeting? NextWhat is ServiceNow and How it is Changing the Face of ITSM?